At Dentistry at Greenfield, we offer fluoride treatment to prevent tooth decay for our patients. According to the ADA, fluoride intake is often recommended for infants and children between the ages of 6 months and 16 years. During this time, primary and permanent teeth are developing. In addition to receiving fluoride treatment at our dental office, it can be applied to the teeth through fluoridated toothpastes and mouth rinses. Mouth rinses containing fluoride in lower strengths are available over-the-counter. However, stronger mouth rinses can be prescribed as needed. Drs. Nelson and Turley will advise you about your child’s fluoride needs. We strive to provide you with the highest quality care, including the use of fluoride. 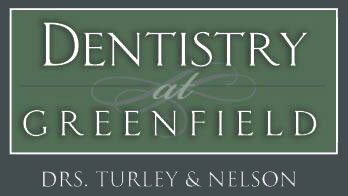 For more information or to request an appointment, contact Dentistry at Greenfield.